I’ll confess that when I agreed to Signum Classics’ request to record the complete organ works of Charles Marie Widor, I had no idea it would attract such sustained and prolonged interest – and often from people who have little affinity or love of the organ! Following my studies with Marie Claire Alain in Paris for two carefree years (how I look back with wistful envy to 1998-2000! ), by far my main focus was on the French Romantic repertoire. We worked on a great deal of Dupré – Alain was a pupil of Dupré, and of course through lineage, Widor – as well as Vierne, Durufle etc., but it is the musical voice of Widor with which I feel the most natural musical connection. I believe that Widor is, after Bach, the most important composer to have written for the organ. Widor’s use of form, scale, texture, melody and rhythm are truly orchestral, and this is what sets him apart from all the usual organist composer suspects. The wonderful book, A Life beyond the Toccata, by John R Near is essential reading when it comes to the life and work of Widor, and I can add very little to it in terms of historical background. However, I might add some perspectives that qualify my statement above with regard to the importance of Widor and why we are seeing such a revival of all of his music beyond the infamous ‘wedding’ Toccata. Widor was, above all, a great, all-round musician who (as an organist!) provided a much-referred to book regarding the practical use of orchestral instrumentation, as well as operas, a ballet, piano concerti, orchestral symphonies, string quartets and much choral music. Widor was clearly an intellectual. Charismatic, he was steeped in culture, history, philosophy and the other arts – all the evidence is be found in the Near book. The thematic workings of his mind are clearly evident in the development within his organ symphonies and how they evolved in style and influence through each of his profound compositional stages. Unlike many, I see the development of Widor’s Organ Symphonies in four stages, rather than three. In 1872, we find Widor in experimental mode with Symphonies Nos 1 to 4, with much homage paid to Mendelssohn. Symphonies Nos 5 and 6 (the Sixth was actually composed first), written in 1879, reveal more of his own musical language and display real mastery. Schumann and Mendelssohn are in evidence, as is, in the second movement of the Sixth Symphony, Wagner. With 1887, we enter the third stage when Widor was obviously becoming more heavily influenced by Wagner. Symphony No 7 is the most difficult to make the most convincing in terms of form and thematic development. Symphony No 8 is a masterpiece and, at 50 minutes in length is a monumental achievement. Regrettably, it is very seldom heard, either in the concert hall or the cathedral. In 1895 and 1900, Widor turned away from concert material and looked to plainsong and specific buildings for inspiration when composing the Symphonie Gothique (Christmas’s Puer Natus Est) for the Gothic marvel of St Ouen, Rouen and the Symphonie Romane (Easter’s Haec Dies) for the Romanesque basilica of St Sernin, Toulouse. I should also say something about the editions, the organs and the venues used for the recordings. The John R Near editions from the USA are expensive – and especially so if you use them for recording purposes – but to my mind offer by far the most up-to-date scholarship and accuracy. 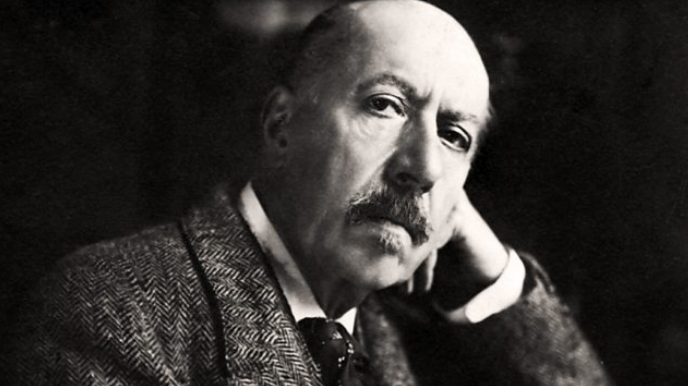 Widor made many revisions to his work, and these editions also offer the most satisfying end-game decisions. The organs provided by the genius French organ builder Cavaillé-Coll and the spaces/acoustics of the churches in which they are housed also play a significant part in the success of Widor’s work. I recorded all ten symphonies over five exhausting but rewarding consecutive nights (8pm to 4am) at La Madeleine Paris in May 2011. I chose this venue because it has the only Cavaillé-Coll (with alterations by other builders) that, to my knowledge, possesses a sequencer (a system for storing all your stop choices by computer). I was only given five hours of rehearsal due to the working nature of the church, and without this sequencer the venture would have been extremely difficult. I recorded the remainder of Widor’s solo organ works at Lyon and Toulouse. The overall critical response to the project has been beyond pleasing, and one especially rewarding outcome was a discussion between Ariel Valent, Curator of the Grand Town Hall organ in Melbourne and I about how we could present all of the Organ Symphonies live in one week. This led to the aptly-named “The Widor Project”, which will involve me performing all ten symphonies across five days this June. It is no surprise that the City of Melbourne’s world class organ programme is promoting this project. This is not just because of the instrument’s quality, but also the diversity and quality of programming that since its refurbishment in 2001 has been presenting ambitious classical works, but also taking the Grand Organ to new audiences through commissions in jazz from such luminaries as The Necks and Paul Grabowsky, and beyond with Goblin, Tangerine Dream, The Drones and The Night Terrors. 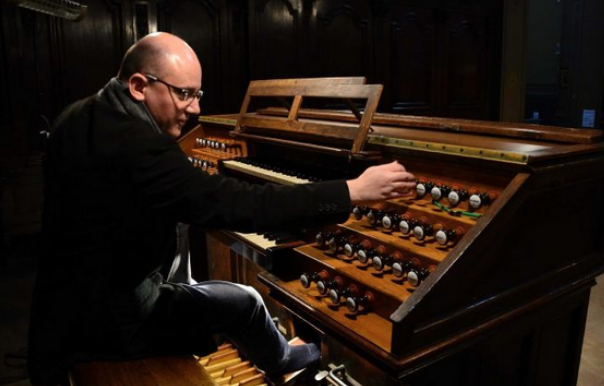 The City of Melbourne is also in the process of creating a virtual instrument for the Grand Organ which will take the 10,000 pipes into studios and homes around the world. This is a hugely ambitious undertaking and, despite the costs involved, the City of Melbourne is offering all these concerts free of charge to the public. The project is already garnering a very strong reaction online through social media, and perhaps this model will provide a marker pointing the way forward for organ concerts to become more visible to the general public? 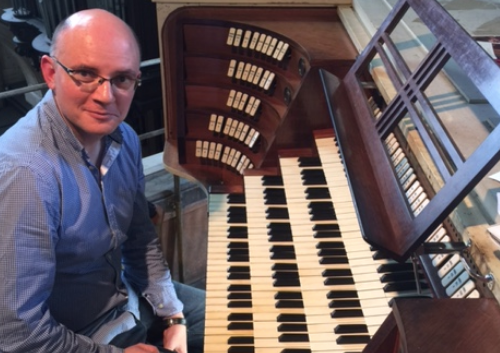 Joseph Nolan is widely acknowledged as a leading exponent of the complete organ works of Charles Marie Widor. His award-winning recordings for Signum Classics UK have been awarded multiple five star reviews and Editor’s Choice in Gramophone, BBC Music Magazine and Limelight. Formerly of Her Majesty’s Chapels Royal, UK, Nolan is Master of Music at St George’s Cathedral Perth and leads the nationally respected music programme. Awarded the title of Chevalier l’ordre des Arts and Lettres by the French minister for communication for services to French music, Joseph is also an Honorary Fellow of the University of Western Australia.